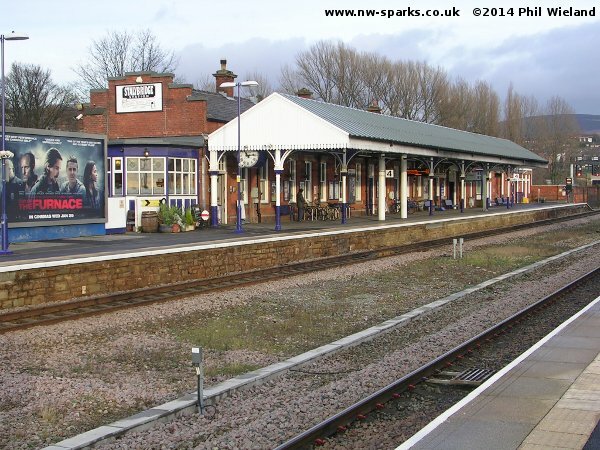 There are two routes of interest, from Manchester Victoria and from Manchester Piccadilly. See map 6. We'll start our tour at Victoria. Trains leaving Victoria immediately pass under the Cheetham Hill Road bridge where the track-bed has been lowered to give clearance for electrification. Onwards to Miles Platting we are climbing a steep gradient, which required a banking loco to be based at Victoria until the late 1980s. 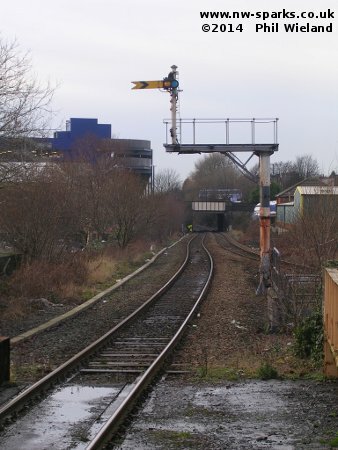 At Miles Platting Junction the line to Rochdale carries straight on while trains towards Stalybridge turn right. 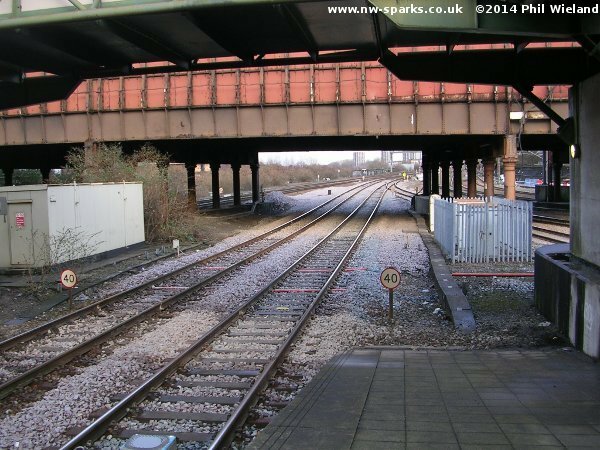 Miles Platting station, which had platforms on both routes, was closed in 1995 and has been comprehensively demolished. 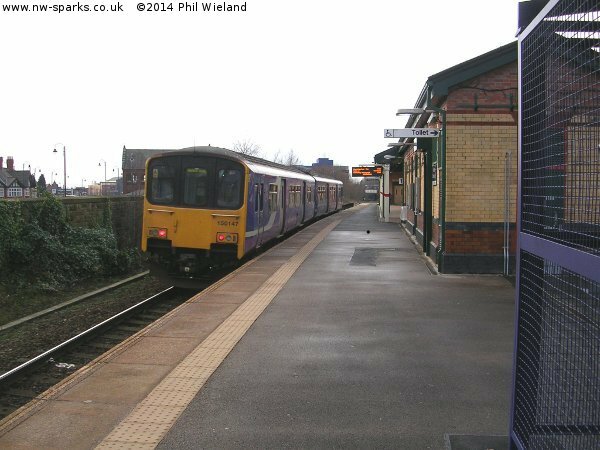 (The Rochdale line is expected to be electrified as far as Newton Heath depot.) The junction is triangular and the third side, known as Brewery Curve soon joins us. 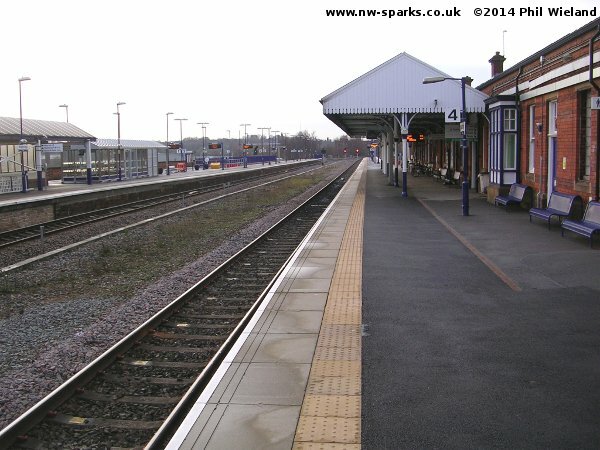 This curve is expected to be included in the electrification to Newton Heath. Almost immediately comes Philips Park West Junction, where the line to Ashburys diverges to the right. This line will also be electrified. Again the junction is triangular, the third side joining us at Baguley Fold Junction. Further along we come to Ashton Moss North Junction where another route diverges to the right, this time to Denton Junction and on to Stockport. The junction used to be triangular but the other side has disappeared under a supermarket car park. This small busy station has one island platform. 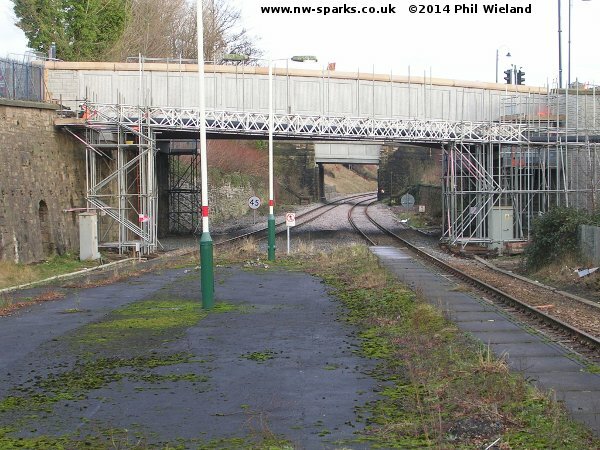 In the second picture, taken in January 2014, you can see work under way to raise the bridge east of the station. Of course, this station's claim to fame is the famous Buffet Bar. The track-work and platforms here were substantially re-modelled in 2012 to provide one extra through platform and also add a bay for terminating services from Victoria keeping them clear of the other lines. The other route to Manchester leads to Piccadilly. Only a short part of this route requires work, between Stalybridge and Guide Bridge West Junction, where it joins the already electrified Hadfield line.